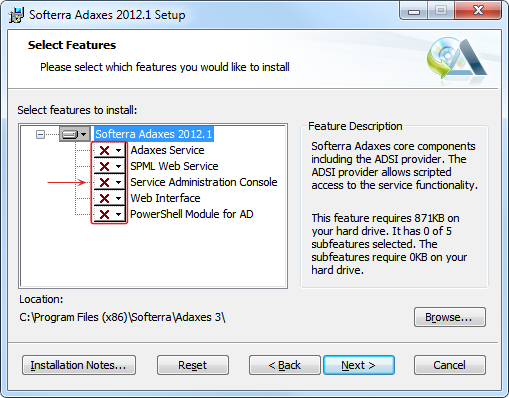 This document contains requirements and instructions on how to install Softerra Adaxes 2012.1. If you have enabled automatic sign in to the Adaxes Web Interface (Sign In as Current User), you need to manually set the impersonate flag to true in the Web.config file of the Web Interface. By default, this file is located in C:\Program Files\Softerra\Adaxes 3\Web Interface\<Web UI Type>.